Item15.0 - In the Larder - camp ration bread delivered by British Army. Item16.0 - Getting Potatoes ready for daily meal. Item17.0 - Peeling potatoes for daily meal. 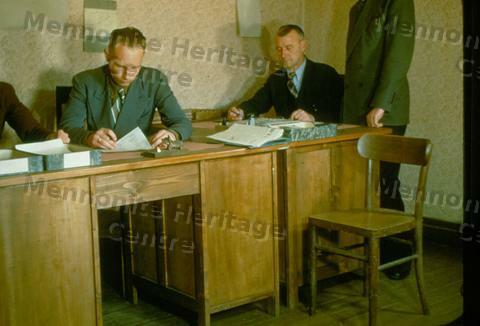 This photo is of three men sitting behind desks in the administration office where refugees received help.